Copyright �2013 PopEntertainment.com. All rights reserved. Posted: November 22, 2013. IM5 is an up-and-coming band made up by a varied and talented singers Gabe Morales, Dana Vaughns, Will Jay Behlendorf, Dalton Rapattoni and Cole Pendery. All were working separately until they were meshed together by industry vets Simon Fuller, Jamie King and Perez Hilton. With that kind of powerful backing, as you may expect, they are catching a whole lot of buzz, selling out concerts before their first album has been even released. Still, their YouTube performances have millions of views and the fan base is anticipating big things. 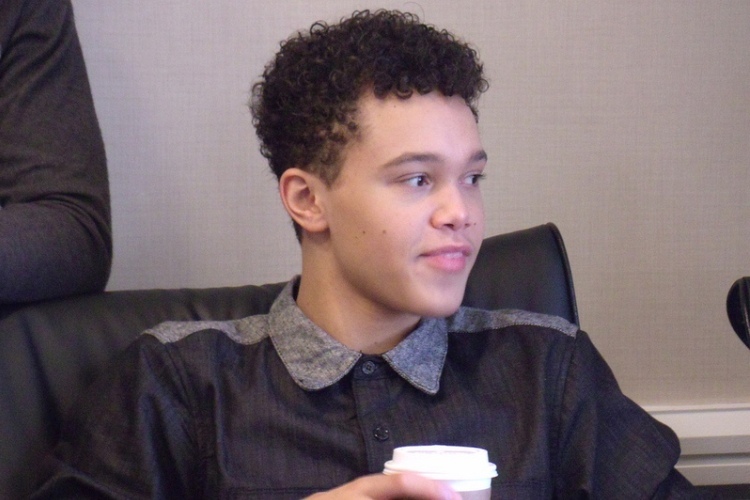 We met with IM5 at the Philadelphia Anti-Bullying Fall Fan Fest, presented by Realty Dance. When we entered the room they greeted us with an impromptu a capella rendition of "God Bless the USA" (Proud to be an American) and sounded awesome. So from the get go we knew these guys could sing. As we got to know them through the interview, we could also see that they had a lot of charm and energy. The perfect combination for another popular boy band! What should your fans expect in the future? Gabe Morales: We�re working on a single, coming out early next year. We�re working with a producer called Harmony. He did Ariana [Grande]�s new album The Way, �Right There,� all those songs. 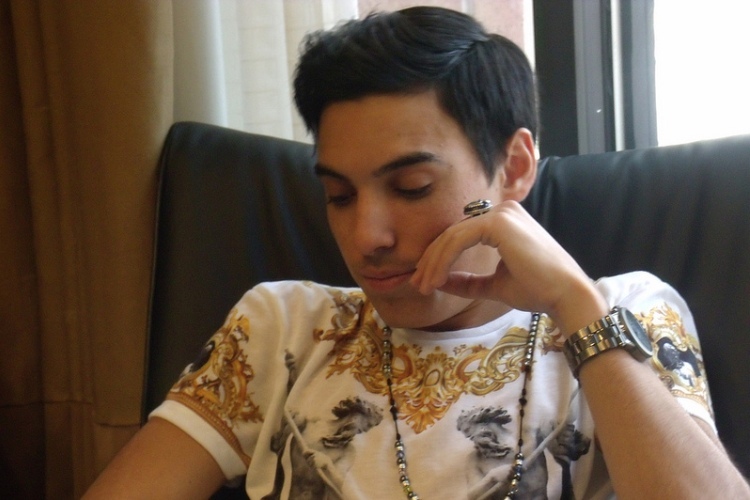 Then he did B5, Jasmine V. We�re working with him for our single for next year. Dana Vaughns: We�re going to work with other producers, too, but that�s our main focus. Just getting the single out. Where do you take your inspiration from, music wise? Will Jay Behlendorf: I think individually we all have different ones. 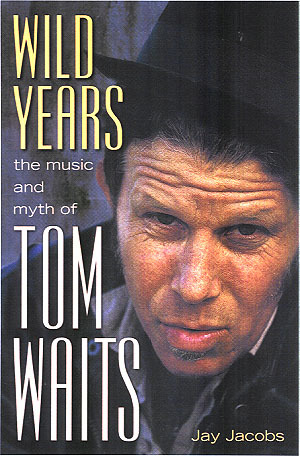 As a band, it�s a lot of influences. I would say Bruno Mars is a big one, just because he�s not only a great singer, but also a songwriter and producer. We like Chris Brown, what he did with his last album. Yeah, I�d say those two are big ones. We also like those old school boy bands like N'Sync and Backstreet Boys. Individually we have different ones. Dalton Rapattoni: I get tons of inspiration from Lady Gaga. Is there anyone you want to do a collab with? Dalton Rapattoni: Realistically? Fifth Harmony would be cool. 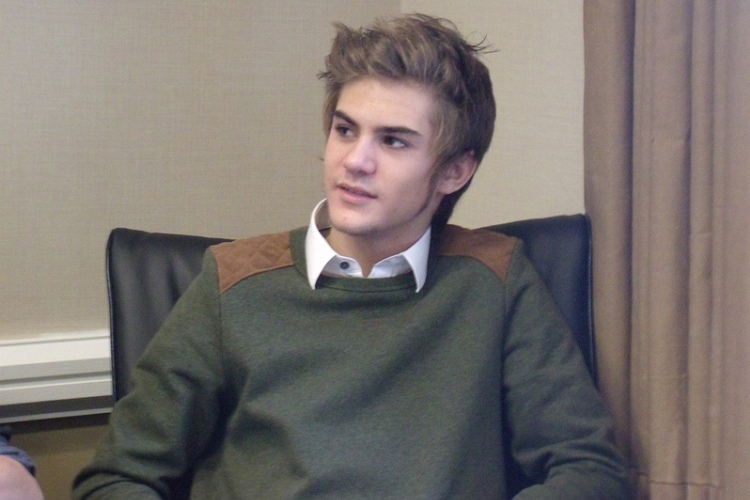 Cole Pendery: For me, I wish we could do a collaboration with of course Justin Timberlake. And Rihanna. Dana Vaughns: I would say for me, a collab with Bruno Mars, Justin Bieber and Trey Songz. Will Jay Behlendorf: Bruno Mars is a big one for me. Dana Vaughns: Also 2 Chainz. When this group was being formed, were you afraid you guys wouldn't get along? Will Jay Behlendorf: I think in any new situation, you're wondering. But it was actually surprising. It was pretty easy. It really wasn't that hard like in a week. Dalton Rapattoni: We really, really hated Cole for the majority of this experience. What is the best memory you guys have together so far? Will Jay Behlendorf: Oh God, there's so many. Dana Vaughns: I would just say the multiple trips. Will Jay Behlendorf: Touring is just so much fun. We just have so fun. Dana Vaughns: I would say besides all of the drama when down in Gabe and Cole�s lives in Connecticut, it was pretty fun. Me and Will, we laid down in the snow shirtless. Dalton Rapattoni: Yes it was so much fun! Cole Pendery: Will was in his underwear in the snow. Will Jay Behlendorf: It was a dare. I got $5.00. You were probably really cold! Will Jay Behlendorf: I was! Thankfully it hadn�t snowed that much yet. It was just a layer of ice. If you weren�t doing this, what would you want to be doing? Will Jay Behlendorf: I would still be like a singer. I like singing. Will Jay Behlendorf: Is there much else I�m good at Dalton? Answer that honestly. Gabe Morales: You're actually really good at Ping Pong. Like, not trying to be racist. Cole Pendery: I�m proud to be an American, where at least I know I�m free. Dana Vaughns: I would be dancing still. Cole Pendery: I would probably be a music producer. Dalton Rapattoni: If you don�t want to completely do it, if your not 100% dedicated to it, then I probably wouldn�t do it. Cole Pendery: Your heart and soul has to be into it. Dalton Rapattoni: Yeah, or else you won�t get the opportunities that come up, because you�d say you have this and that. Will Jay Behlendorf: I know this is so clich� but if this is truly what you want to do, then just don�t give up on it. Dalton Rapattoni: Just follow your heart. Cole Pendery: If people say you can�t do it, prove them wrong. Dana Vaughns: Also surround yourself with honest people. Because you know on American Idol, 47 year olds can�t sing. All their friends have been telling them they're good. You�re being a horrible friend by telling them you're good. Dalton Rapattoni: The real friend is the person that tells you you're good and points out your mistakes. What has been your favorite city you visited? Dalton Rapattoni: We kind of put Philly, New York and New Jersey together, because we go to all of them in one trip. Dalton Rapattoni: Florida is not a city. Will Jay Behlendorf: I�m just saying all the places we went to in Florida. Will Jay Behlendorf: No one said Texas! Will Jay Behlendorf: Honestly, though, everywhere we go, we find something amazing. It was great. Just getting out of town and seeing everyone that we don�t get to see usually. Dalton Rapattoni: Oh, I love getting out of town. LA. Are there any rituals you do before you go on stage? Will Jay Behlendorf: We have a lot! Dana Vaughns: We just pray. Cole Pendery: We pray. I tie my shoes. I don�t know what Will does. Gabe sings a chorus of one of our sings. Dana Vaughns: No, [Gabe] dances. 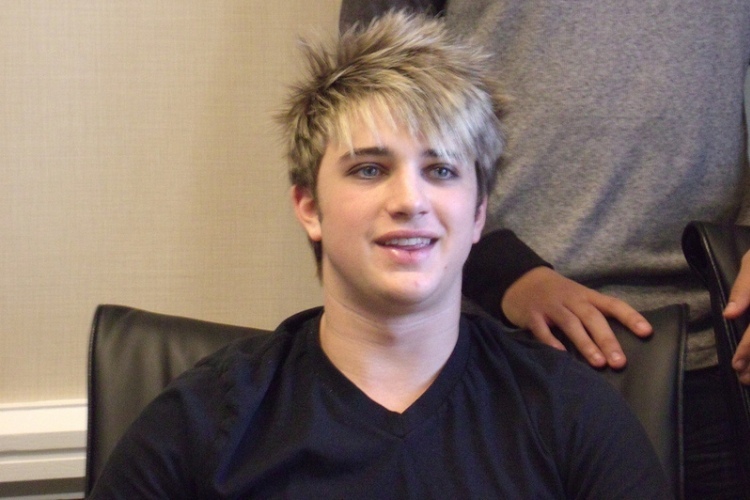 Dalton Rapattoni: I get hyped. Dana Vaughns: I always get worried about the note we have to sing. Gabe Morales: I always crack my knuckles. When you meet someone new, would you rather know their past, or see their future? Cole Pendery: See their future. Dalton Rapattoni: I wouldn�t want to know their past! Cole Pendery: Yeah, I don�t want to know their past. That's what made them who they are now. I want to know who they are now and continue on. Gabe Morales: What [Cole] said. Dalton Rapattoni: Yeah and if you know their past, you might catch yourself judging them on it. Will Jay Behlendorf: See their future. Dana Vaughns: Know their past. Because I want to know about you. Dalton Rapattoni: So when people meet you, do you want them automatically to know you did Kidz Bop? Dana Vaughns: Yeah, awesome. Kidz Bop made me a lot of money, bro. Dalton Rapattoni: Pumpkin spice latte with whipped cream. Will Jay Behlendorf: Me too. Cole Pendery: Vanilla bean frappuccino, no whipped cream. Grande. Ariana Grande. One song that describes your life? Dana Vaughns: "Dive in," Trey Songz. Dana Vaughns: I�d have to say YouTube. Will Jay Behlendorf: I spend my most time on YouTube. There's so much to do on YouTube. You can look up doggies. You can watch the Ellen show. Dalton Rapattoni: You can watch the entirety of the Ellen show. Cole Pendery: Instagram. Instagram. Instagram. Instagram. 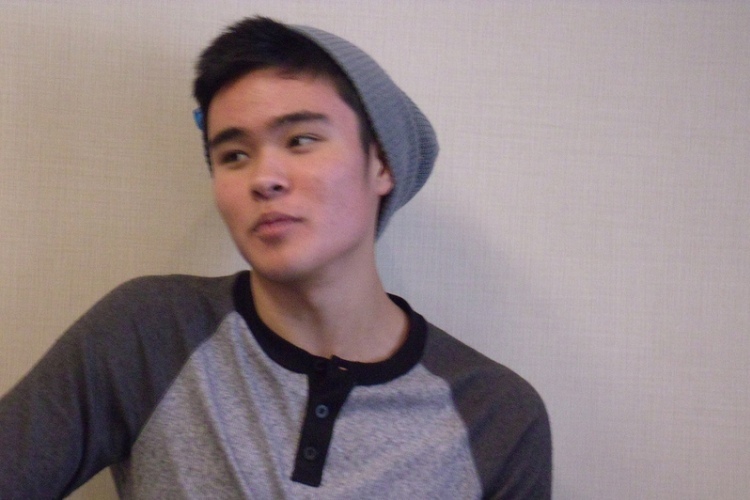 Gabe Morales: I�d choose YouTube. Dalton Rapattoni: (sarcastically) We would only date a fan. Cole Pendery: I like Will�s response, usually. Because he�s like: "Why would you date someone who's not a fan of what you do?" We wouldn't want to date someone who hates the band. It�s like: "Hi sweetie, I hate you." CHECK OUT OUR FULL INTERVIEW WITH IM5! #1 � 2013 Alycia Fabrizio. All rights reserved. #2 � 2013 Alycia Fabrizio. All rights reserved. #3 � 2013 Alycia Fabrizio. All rights reserved. #4 � 2013 Alycia Fabrizio. All rights reserved. #5 � 2013 Alycia Fabrizio. All rights reserved. #6 � 2013 Alycia Fabrizio. All rights reserved. #7 � 2013 Debbie Wagner. All rights reserved.